Another election has come and gone. At least for a little while, annoying commercials will cease, people will restore friendships damaged by disagreement, and daytime talk show hosts will return to prattling about celebrity divorces. Most Americans view elections—especially those of the presidential variety—as choices of unparalleled exigency. For whom they cast a ballot will supposedly be the most important decision they make for many, many months to come. Is all this really true? Of course not. In fact, we vote everyday; each and every one of us participates in several discrete elections from the moment we wake up till the moment we go to sleep. The democratic process is inescapable. November 5 was cold and blustery. The conditions, however, did nothing to deter an enthusiastic gathering of gamers. These people—individuals of all races, creeds, and political beliefs—assembled outside a building, awaiting their opportunity to vote. At midnight, the “polls” opened and eagerly accepted the opinions of each and every person standing outside. But these people were not waiting to vote by drawing lines or checking boxes on a ballot. These people were there to vote with their minds and their money. This was about a real choice—a choice among infinite alternatives, a choice that affected not only themselves but everyone else, a choice that would have a dramatic influence on the future. They were at a video game store, and on that night, the choice was made for Halo 4. Elections such as this occur an incalculable number of times every hour across the globe. This is the glory of exchange and commerce: the free market allows us the opportunity to make substantive choices about how we live our lives. These are the elections that really matter. And it’s peaceful. The gamers hungrily anticipating their forthcoming satisfaction had convened of their own free wills and were talking, laughing, and doing whatever else people who don’t hate each other do. There were no derogatory insults or hostile stares. Try contrasting that with the bitter (and often irrational) hatred seen at political rallies and official polling places. What emerges from the gallimaufry of countless individual, yet interrelated preferences, choices, and commercial exchanges is nothing short of miraculous. The wonders of civilization we enjoy today are the culmination of thousands of years of comparably infinitesimal commercial “elections.” With every vote, demand, supply, and price are simultaneously affected, ultimately leading toward a more preferable society. 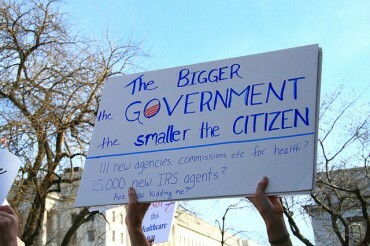 Unfortunately, government gets in the way. Choosing Burger King over McDonald’s, regular over decaf, or leather over suede are all actions infinitely more important and influential to the future composition of society than choosing Romney over Obama. No matter for whom one votes for in a political election, the government always wins. But if enough individuals stop voting for Duracell batteries, eventually they won’t exist anymore. So do not lament and languish too much due to the outcome of the presidential election. You do not have to wait another four years to vote again. In fact, you have almost certainly voted since then already—many times. People should care more about peaceful exchange and the unhindered capitalist economy than about politics. We can and do achieve more in commercial society by voluntary transactions than with government by coercion. Fix Contributor Joseph Diedrich is a student at University of Wisconsin-Madison.